The dendrimer is a common name of polymers which are characterised by a specific structure, although their chemical composition can be very different. Dendrimers display several characteristics which distinguish them from linear polymers. All dendrimers are synthesised by attaching branched monomers to the central core molecule. Monomers are attached layer by layer. As a result of such a synthesis, dendrimers posses plenty of terminal, reactive groups on their surface and empty internal cavities. Both of these features can be utilised. Soon after the first synthesis in mid-1980's, dendrimers have become interesting and promising molecules for pharmaceutical and technical aims. 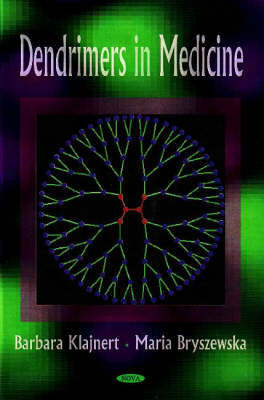 The last years brought many new facts about dendrimers impact on biological systems. Both, general toxic studies, as well as detailed research devoted to particular cellular compounds, as DNA or lipid bilayer, were carried out. New types of dendrimers were synthesised and new applications appeared.